A friend of mine celebrates her birthday today (Happy birthday Kristina! 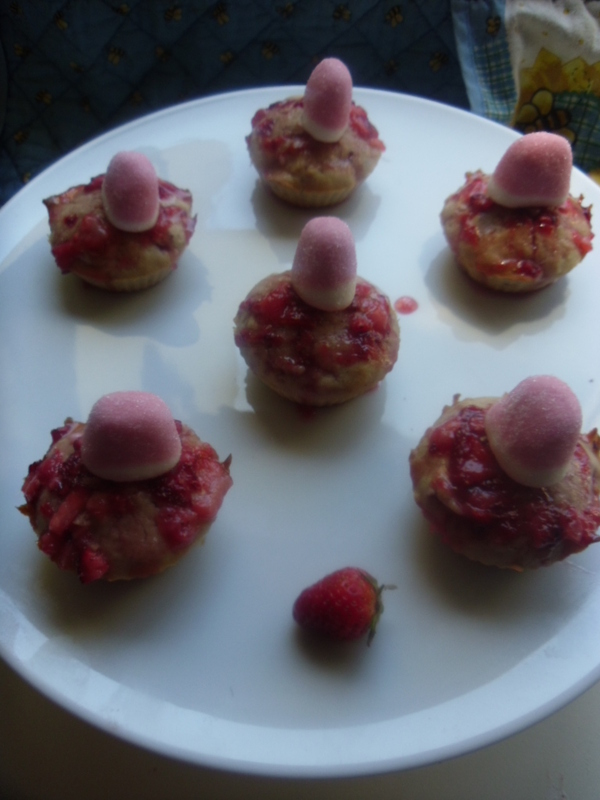 ), and is throwing a party, so I decided to bake some rice flour cupcakes for everyone. 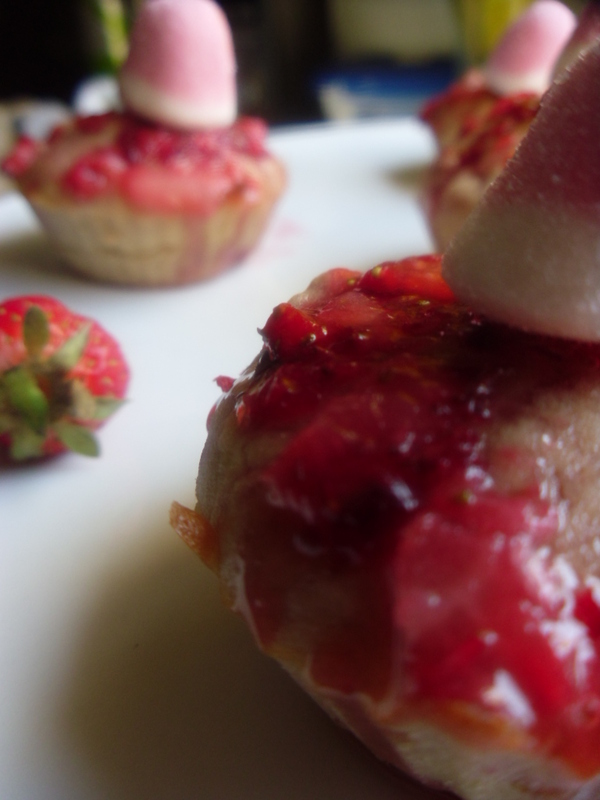 I’m experimenting with cupcake flavours, and decided to test the rum-strawberry combination. The result was fantastic! 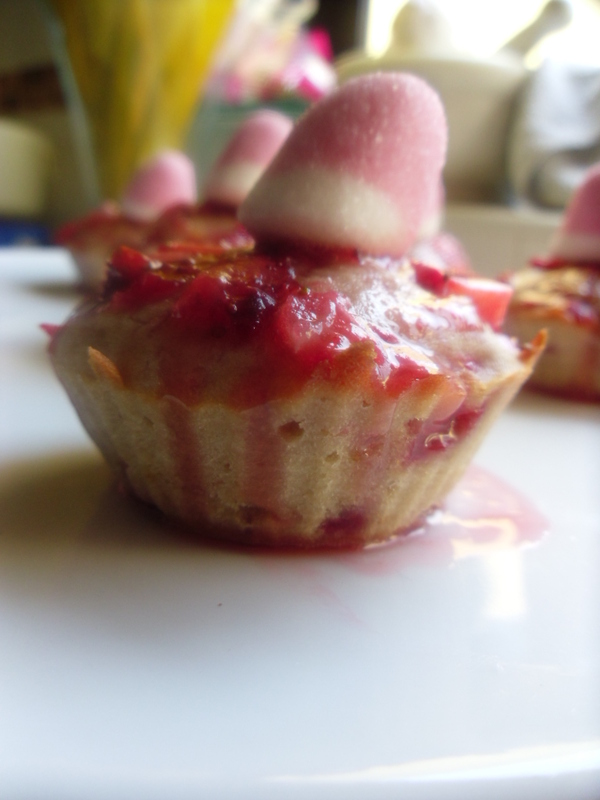 It turns out that rice flour is really good for baking cupcakes with fresh, fruity flavours. The texture is dense but crumbly, and really soft and velvety. They are also quite easy on the eyes, a you might have noticed from the pictures. In a large bowl, cream the butter and sugar until a light and fluffy texture is attained. Whisk in the eggs, strawberries and rum essence until they combine to give a slightly grainy mixture. Fold in the flour and baking powder to give a smooth batter. Use the batter to fill some cupcake paper cups. Do not fill the entire cup, leave ¼ of it empty. Place the icing sugar in a bowl and add the crushed strawberries. Pour the frosting over the cupcakes with a tablespoon, and leave to drip on the sides. Now make a cup of tea, sit down and enjoy a cupcake.